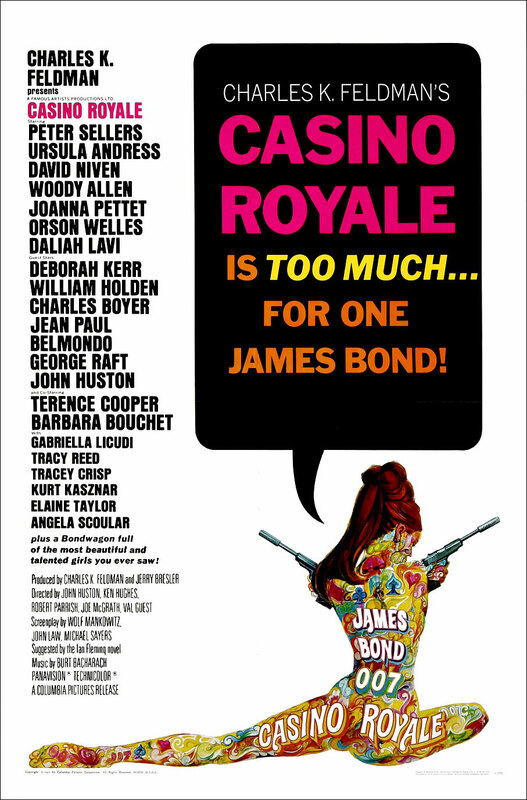 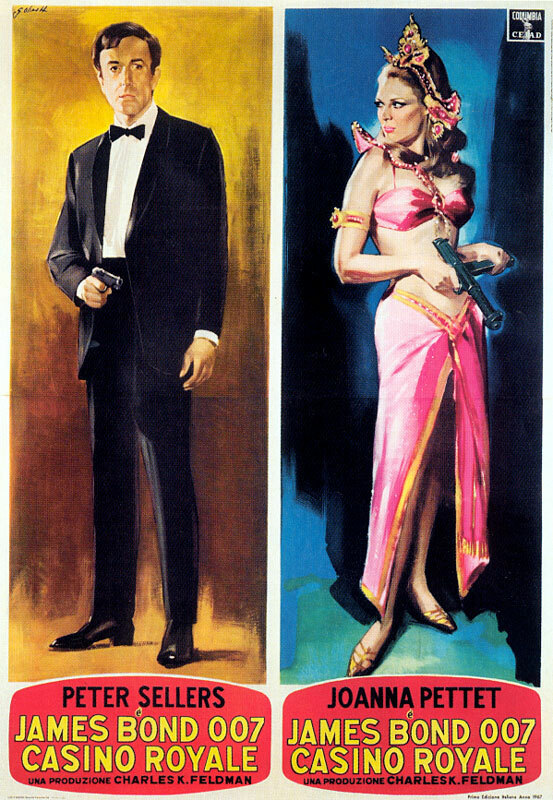 Casino Royale is too much… for one James Bond! Casino Royale is a 1967 comedy spy film originally produced by Columbia Pictures starring an ensemble cast of directors and actors. 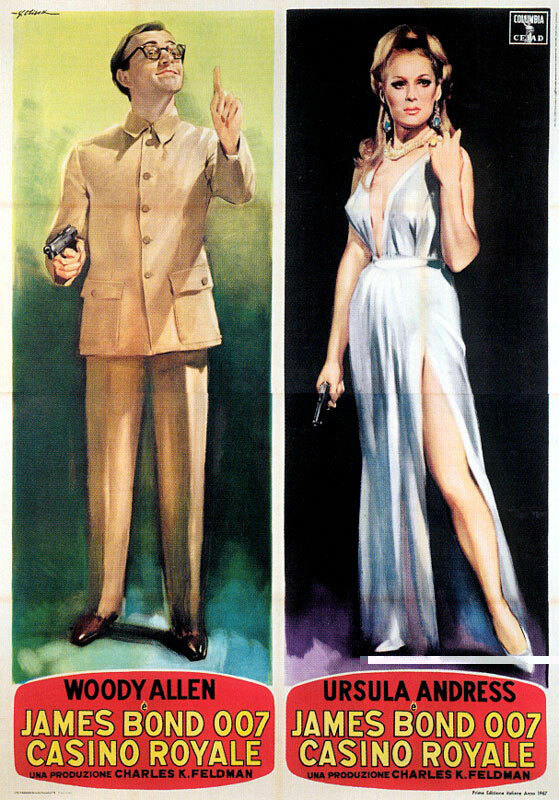 It is set as a satire of the James Bond film series and the spy genre, and is loosely based on Ian Fleming's first James Bond novel.